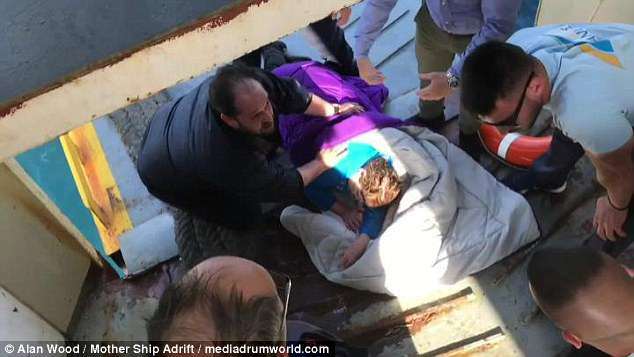 This is the dramatic moment an exhausted woman was plucked from the Mediterranean after being spotted floating several miles off the Greek coast. 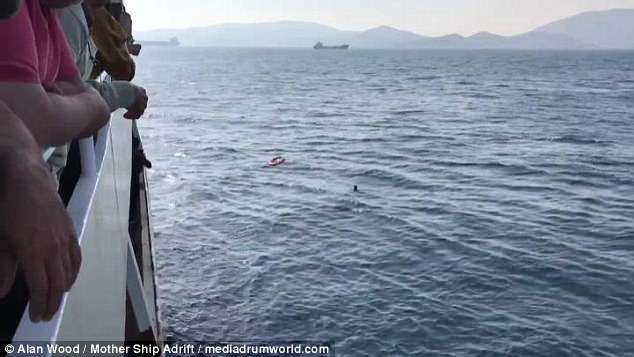 Video taken from a ferry by Briton Alan Wood shows the unnamed woman floating in one of the busiest shipping lanes in Europe off Athens. 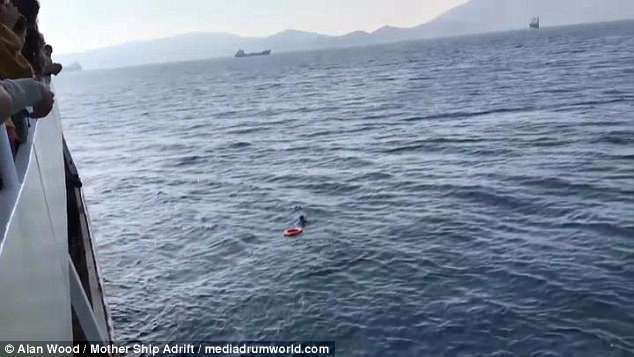 The vessel, sailing in the Saronic Gulf from the Greek capital to the island of Aegina, came to a halt when witnesses heard screaming. 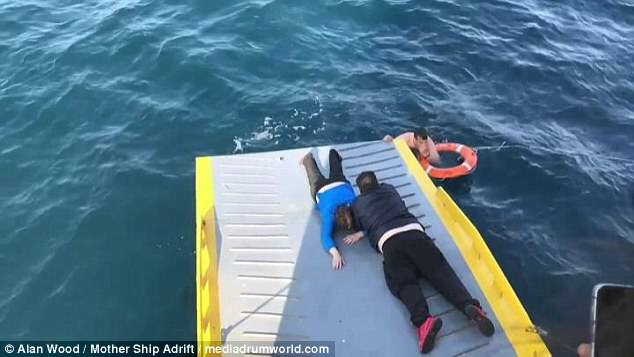 Shocked passengers watched as a lifebuoy was hurled towards the stranded woman who swam over, grabbed it and held on for her life. Mystery surrounds why the woman was in the water so far from land. 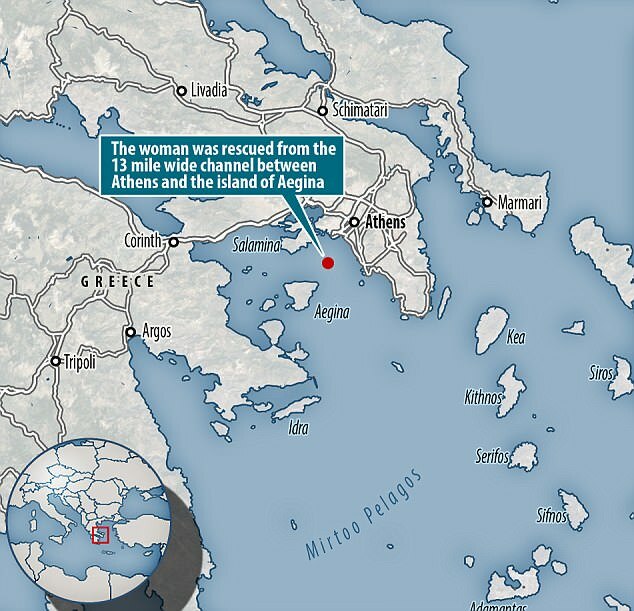 The distance from Athens to Aegina is around 13 miles. 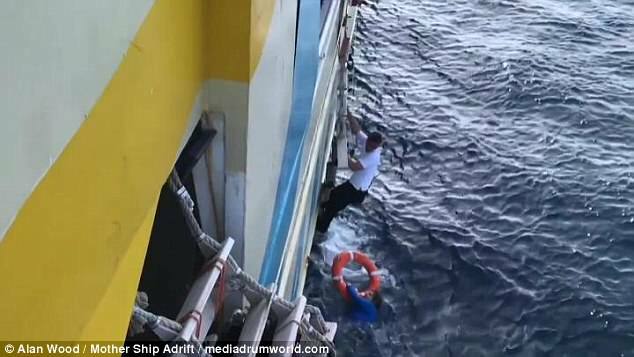 Footage captured last week by 49-year-old Mr Wood, originally from Brighton, shows a one of the rescue crew swimming towards her and pulling her to the side of the ferry. 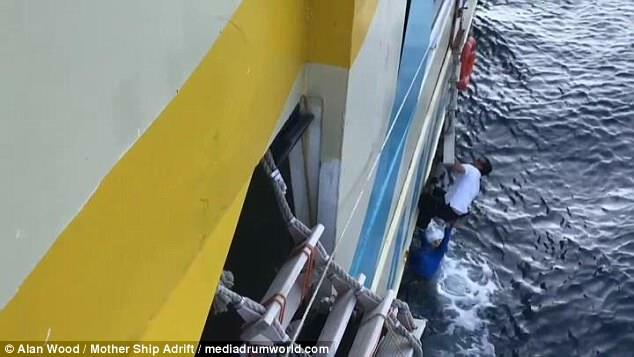 But their attempts at scaling the side of the ferry failed and the man then drags the stranded woman to the far end of the ferry where a ramp was lowered into the water to pull her aboard. The woman was exhausted and unable to move, but alive and breathing according to witnesses. 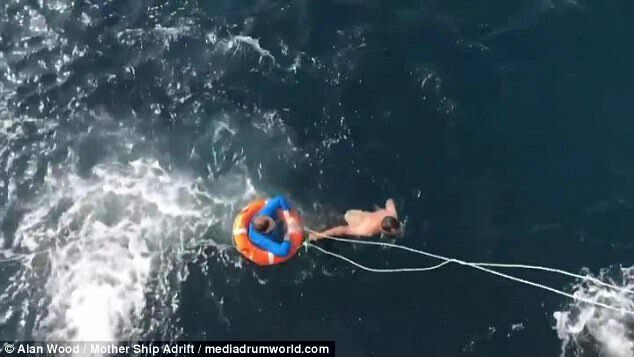 The drama was caught on film by Mr Wood who istravelling the world in a sailboat with his wife, Irenka, 47, a former member of the RNLI, and their three children. ‘I was in complete disbelief that even though we were miles offshore and in a major shipping channel there could be someone in the water,’ Alan said. ‘We were about half way between Athens and Aegina Island in the Saronic Gulf. ‘We were travelling at about fifteen knots when we heard screams, someone shouted that there was a person in the water. ‘Since we live on a boat and me and my wife are both Royal Yacht Association instructors, we instinctively shouted and pointed – and the kids did the same. 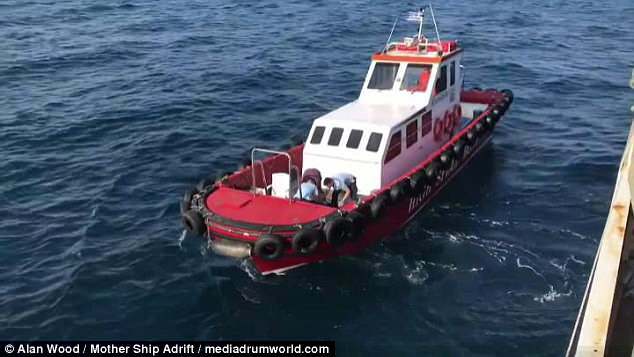 ‘Once the woman was brought to safety she was given the medical attention she required and was taken back to shore for further treatment via a patrol boat. ‘The woman seemed exhausted and very pale, but she was conscious, breathing and able to communicate a little. The couple are travelling across the world with their three children in their family’s sailboat and trying to encourage other families to lead a life of adventure and travelling.